PRESIDENT Emmerson Mnangagwa has sent a condolence message to the Madikizela and Mandela families on the loss of Mrs Winnie Madikizela-Mandela who passed on this week. He described Mrs Madikizela-Mandela as a stalwart of the struggle to end racism and apartheid in South Africa. The former wife of the late South African president Nelson Mandela died at 81. 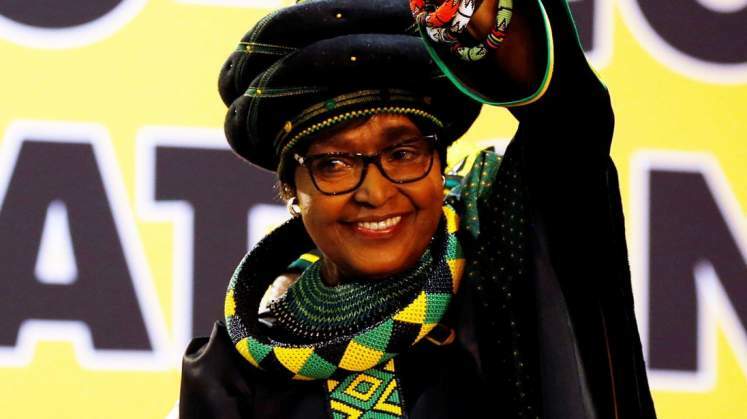 "The death this week of Mama Winnie Madikizela-Mandela has been keenly felt by most in our whole Southern African region, and even more so by all of us drawn from the ranks of freedom fighters and liberation movements who regarded her as a doughty fighter for freedom and a fearless comrade-in-arms," said President Mnangagwa. "On behalf of the people of Zimbabwe, Zanu-PF, and on my own behalf, I wish to convey my heartfelt condolences to the Madikizela and Mandela families at this saddest loss which is ours to bear and suffer together." President Mnangagwa also extended his condolences to South African President Cyril Ramaphosa and the African National Congress.